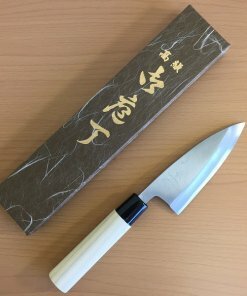 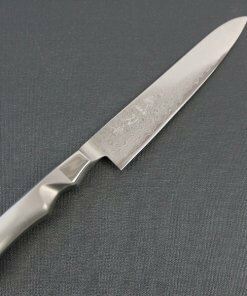 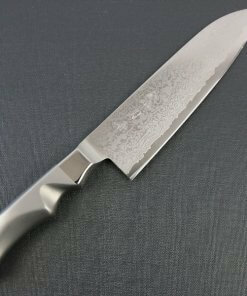 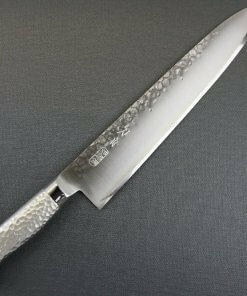 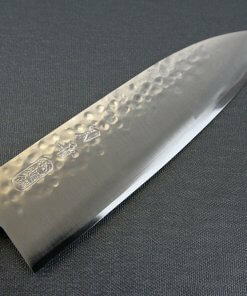 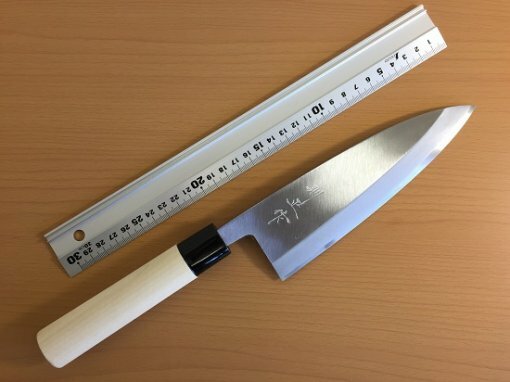 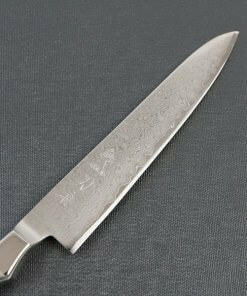 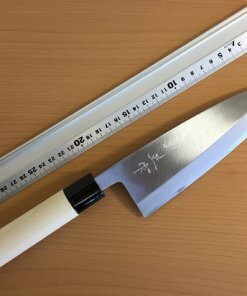 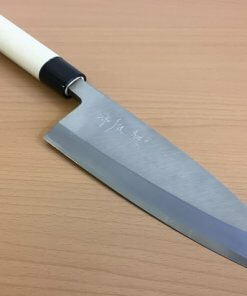 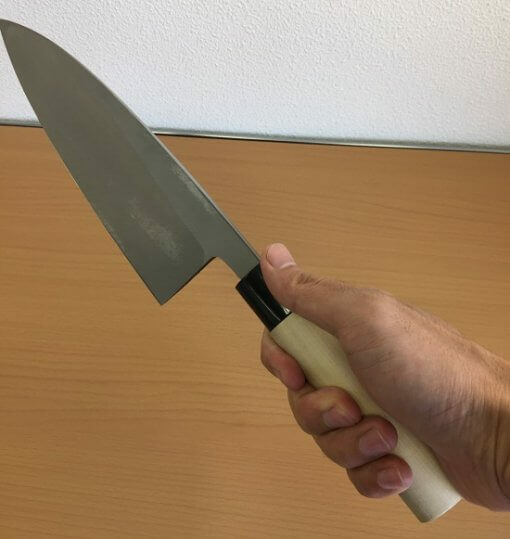 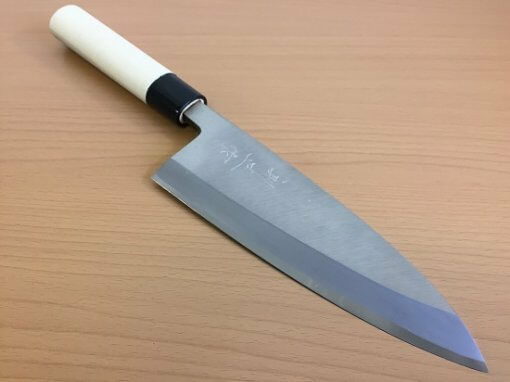 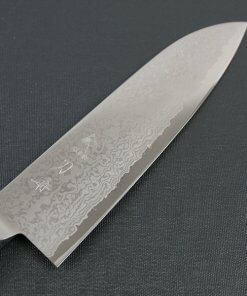 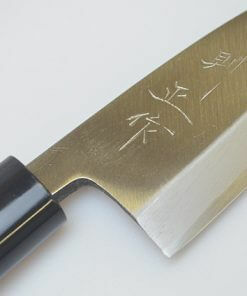 This knife is mainly used to cut and fillet whole fish in Japan. 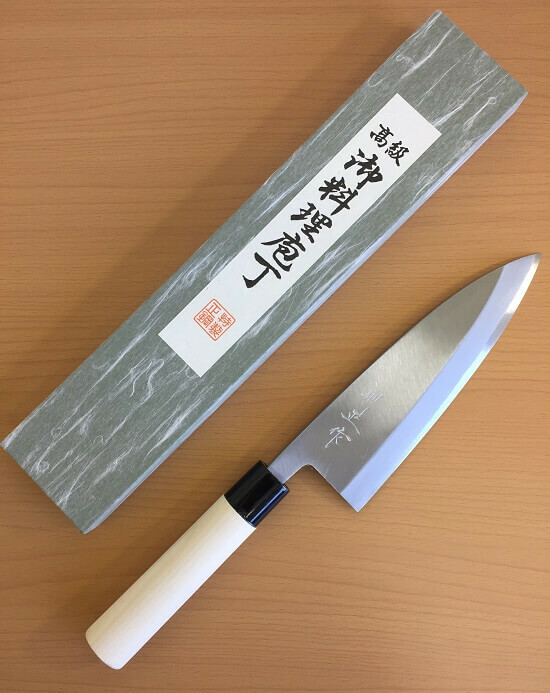 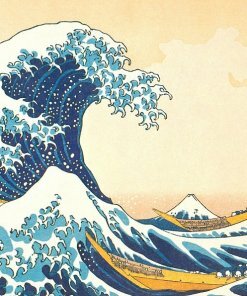 The heft of the Deba knife allows you to cut through the heads and bones of a fish, and its smaller pointed tip fillets the flesh from the bones. 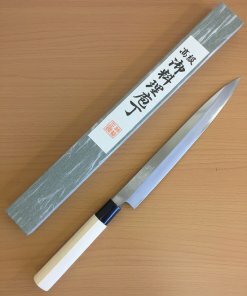 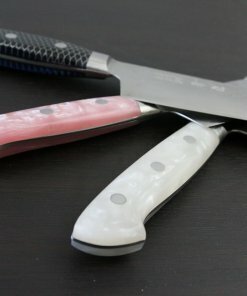 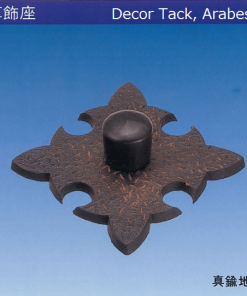 This knife can also be used for meat as well. 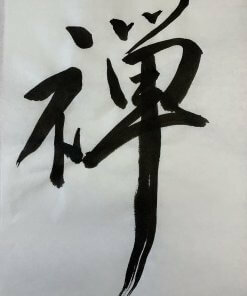 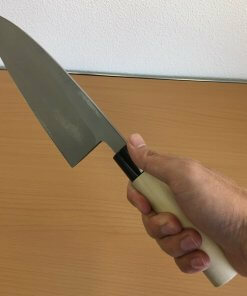 It is not recommended to cut big bones. 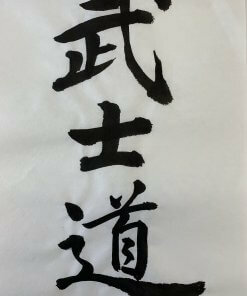 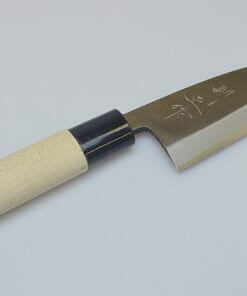 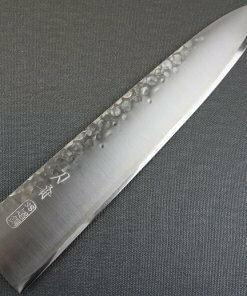 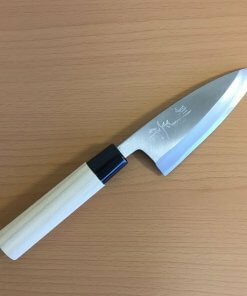 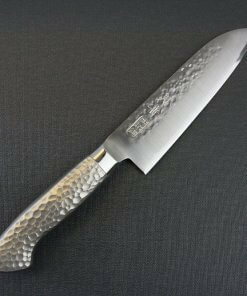 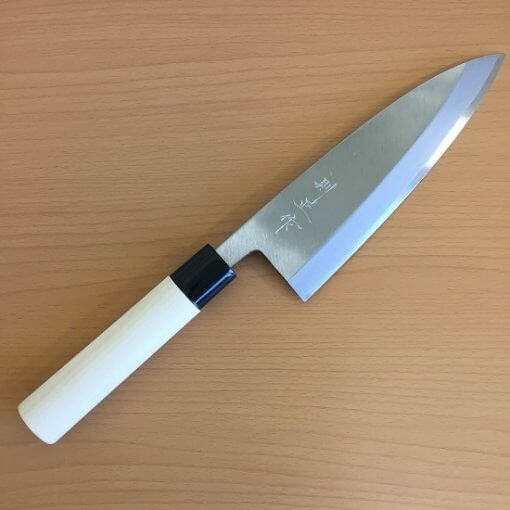 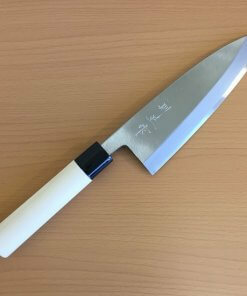 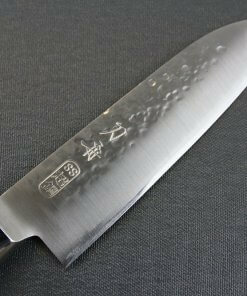 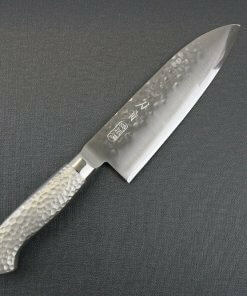 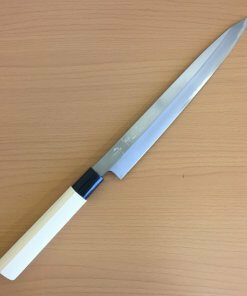 You can easily fillet even a large fish like King Salmon thanks to heavy and large blade of this Deba knife.